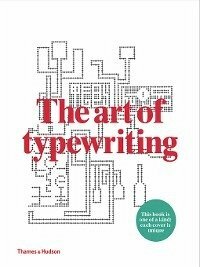 This eBook version includes the Preface, Foreword and introductory texts only.Here is an authoritative and beautiful overview of the graphic art produced by artists, illustrators and writers who have used the typewriter as a tool and a medium. Marvin and Ruth Sackner mine the superlative collection they have created over four decades to present over 600 examples produced by more than 60 of the world's finest contributors to the genre.From early ornamental works produced by secretaries in the late 19th century to more recent works that consider the uniqueness of the typewritten document in the digital age, there is an astonishing and delightful range of creativity in every artwork. The publication features three main sections: an introduction to the history of the typewriter and its art; an expansive plate section showing key works, thematized and rendered in exquisite detail; and a reference section featuring biographies of the most influential artists and writers. Each book has a cover with a unique combination of front and back image, meaning no two books are the same. This is a once-in-a-generation publication, carefully curated through decades of first-hand experience to inspire a new wave of designers and artists for the future.